Kidding aside, this is my daughter's pony, and in true pony fashion he can be a miserable little bugger and needs the occasional tune up. Should have got her a full sized horse but they are hard to find, and I figured this would be character building. Not sure whose character is seeing the most building though. Kinda surprising how tough these little fellas are though. That little barrel pattern looks like the Thomas and Mack arena. 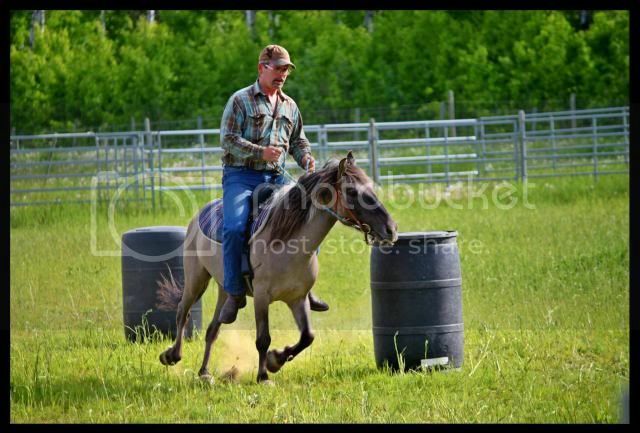 I wouldn't doubt the little booger would make a heeling horse, I like small horses for heeling.